“It’s only a game.” Or is it? Upon moving to Chile, I learned about a soccer match that transcends almost every boundary known to the sporting world. In 1973, the Soviet Union and Chile met to decide who would be the final team going to the 1974 World Cup in West Germany. On the surface, it was just a soccer match. Underneath the surface, there was a military coup, the Cold War, and a stadium that was being used as a detention center. It was a soccer match that should have never been played. 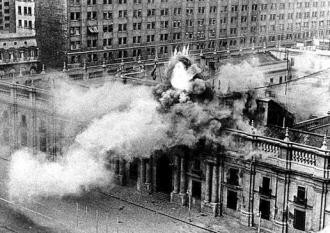 On the morning of September 11th 1973, bombs ripped through La Moneda, the Presidential Palace in Chile. 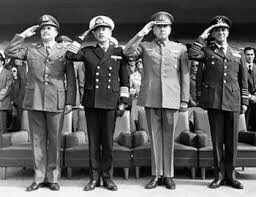 By early afternoon, Chilean military leaders had successfully completed a coup d’etat which ousted the democratically elected Chilean President Salvador Allende. The details of what happened on that day are still very much disputed, although medical autopsy showed that Allende committed suicide during the coup. Civilian rule was abolished and military leaders formed a junta that had absolute control of the country. The event not only rattled the Chilean people, but the entire world. The Chilean coup d’etat was a major event in the Cold War between the US and Soviet Union. President Allende led the Socialist party in Chile and had strong ties to US enemies such as Fidel Castro. When Allende won the 1970 Chilean Presidential election, US President Richard Nixon feared Chile would turn into “another Cuba,” and severed diplomatic relations with the country. On the other hand, the Soviet Union was strongly in support of the Allende Presidency. They viewed Chile as a new potential ally with close proximity to the United States, just like Cuba. The first item of business for the junta was suppressing anyone who may have had loyalties to Allende. Thousands of prisoners were rounded up and taken to detention centers around Chile. The biggest one of which was the Estadio Nacional, located in the country’s capital city of Santiago, where the Chilean National Team played football matches. In the weeks after the coup, thousands of detainees were taken to the stadium where they were subject to brutal torture. As if the chaos wasn’t enough, Chile and the Soviet Union were about to square off in a playoff to determine who gets the final spot in the 1974 World Cup. Not surprisingly, the Soviet Union took the completely opposite stance. Almost immediately after the coup, they cut off diplomatic relations with Chile and were among the most vocal critics of the new military-led government. 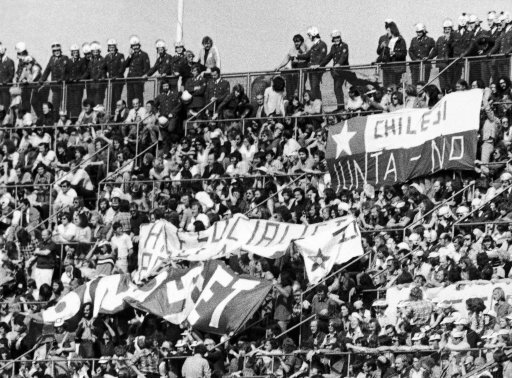 The playoff between Chile and the Soviet Union would feature two matches, one in Moscow and one in Santiago. The team with the most goals in aggregate would move on to the World Cup. The first match took place in October of 1973 in Moscow and resulted in a 0-0 draw. The Soviet media and government was humiliated by the result, expecting to easily win in front of their home crowd. The return match was scheduled in November 1973 at the Estadio Nacional, just 2 months after the military coup. As you can imagine, it’s difficult to play a World Cup Qualifier in a stadium that is being used as a detention center. News of the abuse spread around the world resulting in stark criticism of Chile and its new government. In an effort to improve global opinion, the junta thought staging a World Cup Qualifier in Estadio Nacional could convince the world that abuse wasn’t happening (even though it was). The Soviet Union protested to FIFA that they would not play a soccer match in a stadium that was “stained with blood.” FIFA sent inspectors to Santiago to check whether the stadium was fit to host a soccer match. The day the inspectors arrived, detainees were hidden underneath the stadium and out of sight from inspectors. FIFA eventually declared that the stadium was fit for the competition. On November 21st, the game that should have never happened, happened. 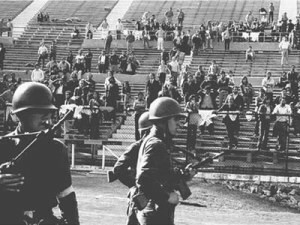 Before the match, detainees being held in Estadio Nacional were taken to a separate detention center near the Atacama Desert. But these were not even the most astounding facts on the infamous day. The match was played even though the Soviet Union didn’t show up! The Chilean players took the field, kicked off, and scored into an empty net. Since there was no opponent to restart the match after the goal, the match was called soon after (for video of the goal, see here). The Soviet Union, true to its word, refused to play in Estadio Nacional. While it’s easy to say that the Soviet Union took the high road, that might not be entirely true. In later years, some Soviet players thought their government did not want to lose to a country with opposite political ideology and instead, took a moral victory in the eyes of the world. Many questions remain unanswered like: Why did FIFA allow the match to be played if the Soviet Union said they were not coming? How did the FIFA inspectors not see any signs of abuse when thousands of detainees were still being held in the stadium? It’s quite simply one of the most bizarre sporting events ever. The match is still a dark piece of history both for Chile as well as FIFA. Uruguayan author Eduardo Galeano, who was there at the game, famously coined it, “the most pathetic soccer match ever played.” Chilean player Carlos Caszely who played in the game, and whose mother was tortured during the Pinochet dictatorship, remembered the game, “That team did the most ridiculous thing. It was a worldwide embarrassment,” said Caszely. (Fun Fact: Caszely would later go on to be the first player ever to receive a red card in a World Cup the following year). Another reason why the match was so unique was because it marked the first time a country boycotted a soccer match for political reasons. It set a dangerous precedent that resulted in many such boycotts at global sporting events, like the Olympics during the late 70’s and 80’s. A common theme that persisted for much of the Cold War was that most “fighting” was symbolic. Sporting events provided the perfect battlegrounds for ideological warfare. In Chile, Pinochet would rule until 1990 when the country returned to a democratically elected government. Even today, the Pinochet dictatorship is a hotly debated topic. While people acknowledge that human rights violations occurred during Pinochet’s rule, many point to his free market policies as building blocks to the economic prosperity the country now enjoys. In any event, Chile is still in the process of mending all the wounds from its recent political history. Despite the horrific tragedies that occurred in Estadio Nacional, it is still used today as Chile’s primary soccer venue. In 2011, Chile finally memorialized a section of Estadio Nacional to remember the prisoners that had been detained there. If you visit Estadio Nacional, you will see a section of old wooden bleachers called “Escotilla 8.” The memorial sticks out like a sore thumb in the newly renovated stadium. It’s a reminder of all the injustice that was inflicted within the stadium. It’s a reminder of a time when the lines between sports and politics were often blurred. It’s a reminder that sometimes, it’s anything but a game. Product at @cargomatic. Passionate about the intersection of sports, business, and technology. Arsenal, 49ers, Warriors, Giants. #GoBlue.